This movie is titled, "The Jurassic Games," and basically is mash-up of, "The Hunger Games," (which is essentially a rip-off of, "Battle Royale,") with, "Jurassic Park," along with a dash of, "The Condemned," and the mostly-forgotten, "Gamer." 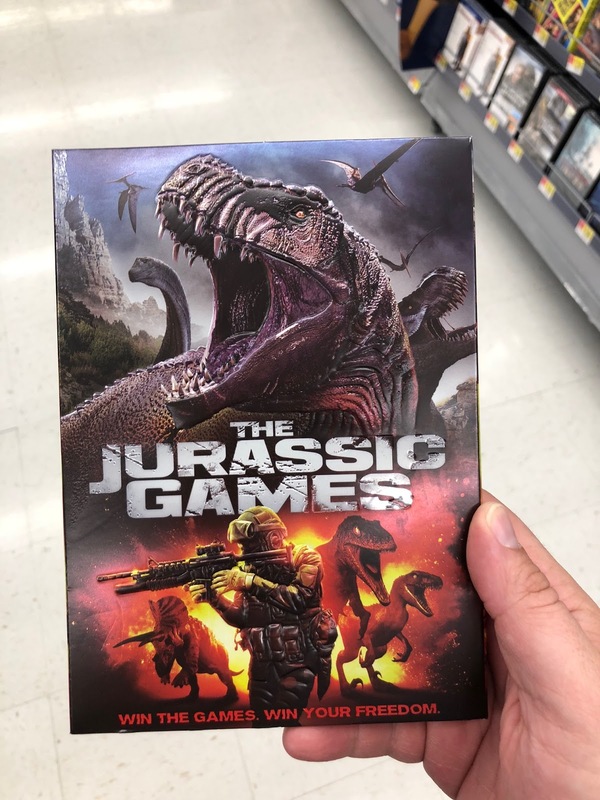 Basically a bunch of convicts go into a virtual-reality world where they have to fight to the death and avoid dinosaurs. If they die in the game however they die in the real world, so they really don't want to get shot or eaten by a dino. It looks gloriously dumb and I might try to rent it sometime as I didn't feel like shelling-out a whole $10 at Walmart for it. According to some reviews it actually is a lot better than one would expect thanks to some surprisingly decent special-effects and being relatively self-aware at how it is ripping off enough franchises to shake a stick at in the hopes that a random mixture of ideas will somehow work--and it seems it weirdly does! Perhaps this is a sign we should combine other popular film-concepts. Maybe a mixture of, "The Notebook," and, "Silence of the Lambs," with a tiny bit of, "Predator," plus, "Mad Max." It could work, right?